“Limitless” will be out soon. Get on the Pre-notification list by signing up today! 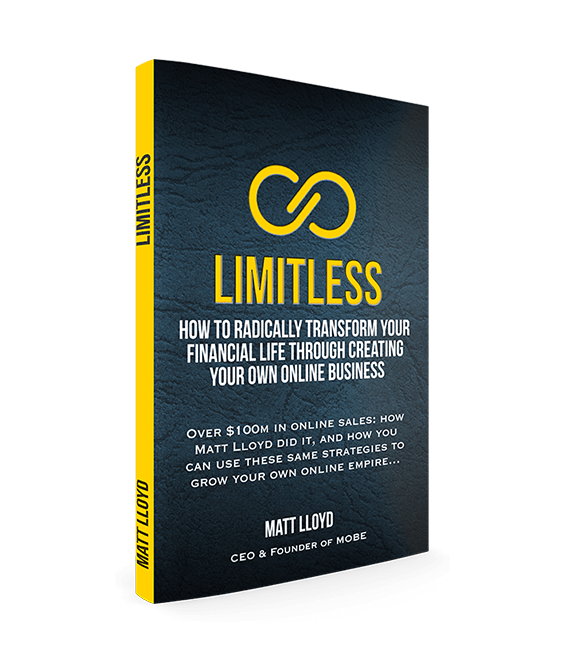 In this new book “Limitless,” you’ll discover some of the biggest lessons Matt learned in selling over $100 million worth of his own products online, and how these lessons can help you start your own online business from home. If you’d like a free copy sent to your doorstep (just help him cover postage), then get on the pre-notification list below! This book is written for people who are new to internet marketing (or still trying to figure it out), and are determined to create a financial future of abundance, where they never have to worry about money again. These free copies will be only be offered to a limited group of people. All he asked for in return, is that if you love the book, to share your opinion with him so he can use it during the official book launch. Just click the button and enter your email, and when the book is ready – you will be the first to know about it.